Specifics/Features — Reusable window sticker decorations.. Can be reused each christmas year.. Perfect for glass windows, glass doors, mirror windows, smooth surfaces and so on.. 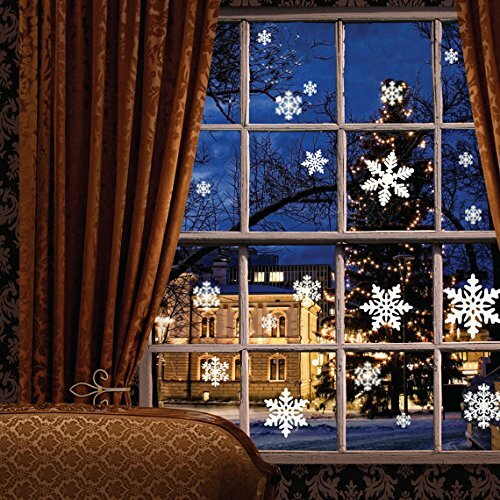 Stick to windows.. No need for adhesive.. Peel off without damaging surfaces.. Three designs and sizes ~ 81 snowflake window decoration stickers.. Note: Not recommended for use in car windows as the heat may cause them to peel or shrunk..